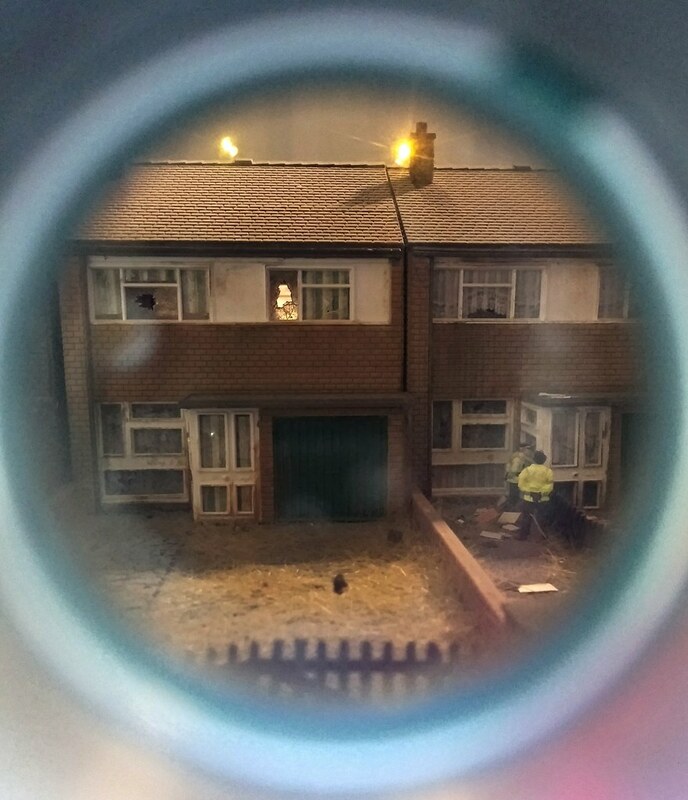 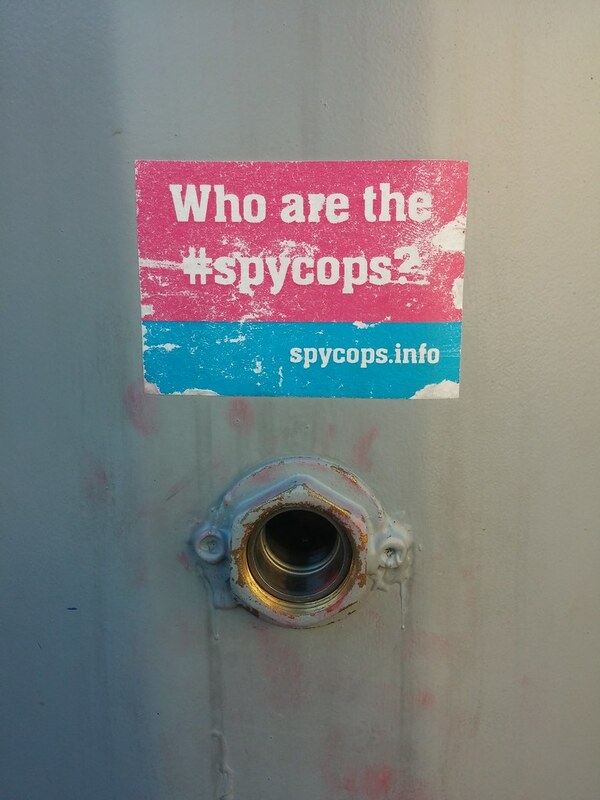 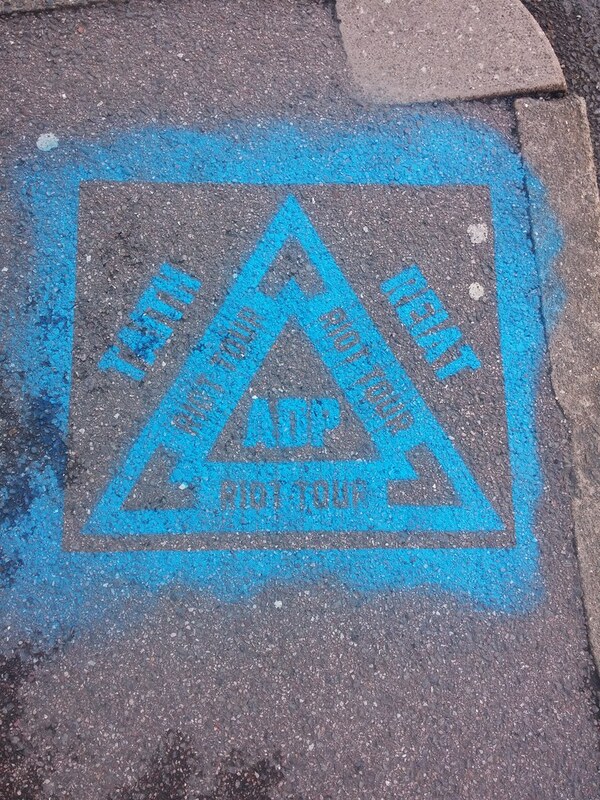 He may be best known for being part of 90’s rave band The KLF or for crazily burning £1 million pounds but artist James (Jimmy) Cauty has launched a new project touring around the UK called The ADP Riot Tour. 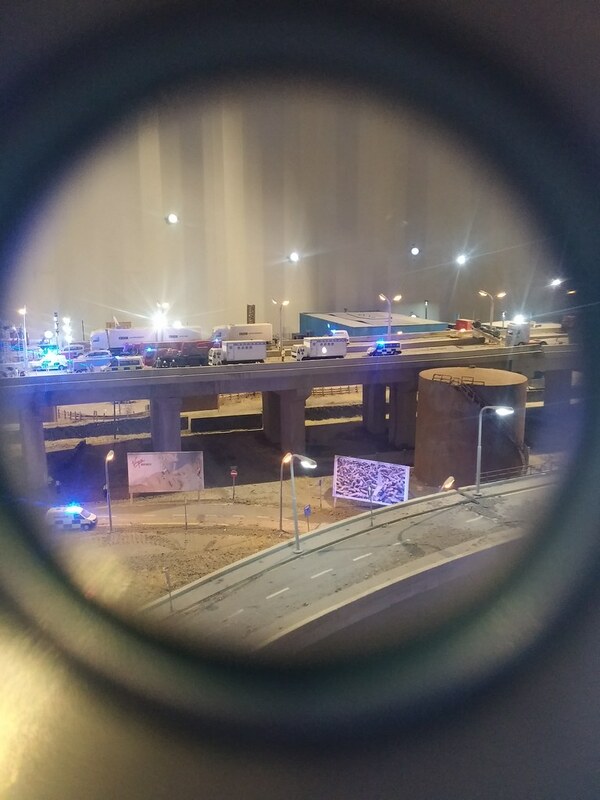 After a session in 2015 at Banksy’s Dismaland the artist has decided to pack the exhibition up, put it into a shipping container and take it on the road on a self-funded tour. 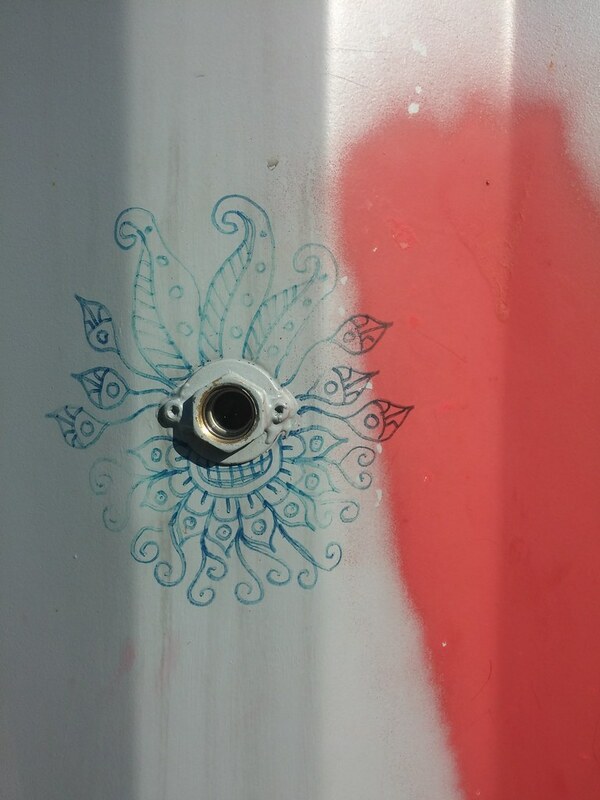 Visit the shop at www.l-13.org to see how you can help fund the project and where the next locations are. 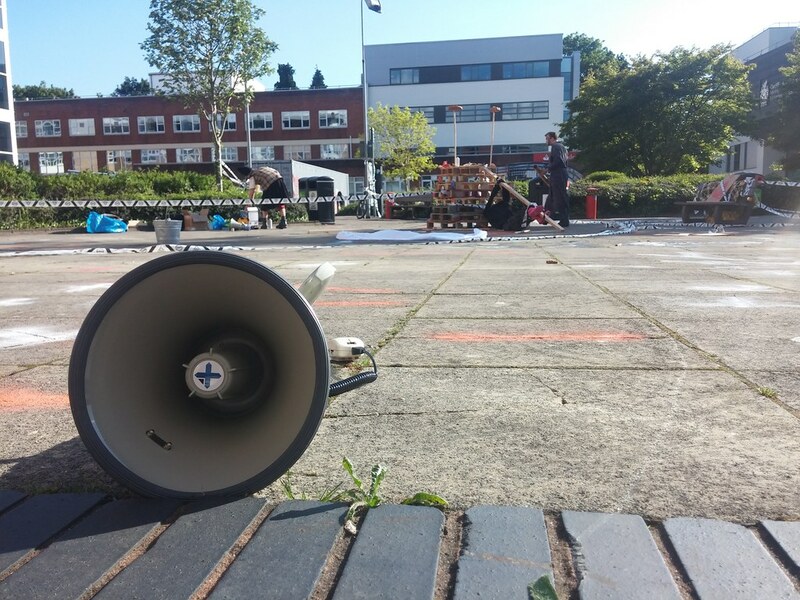 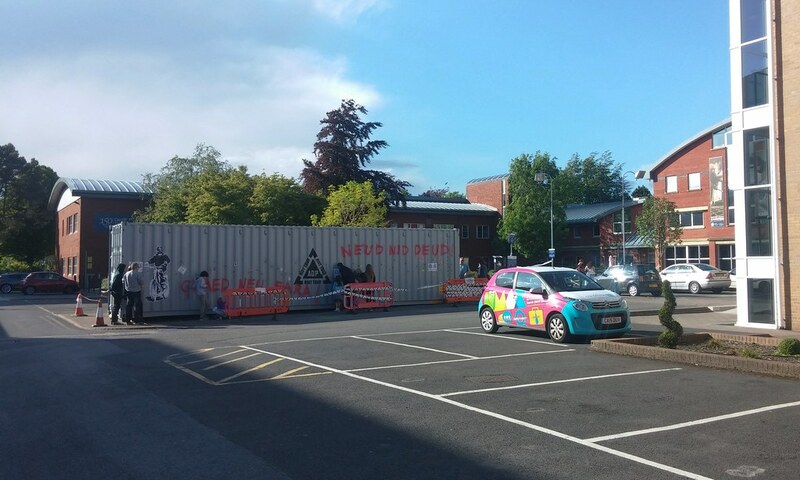 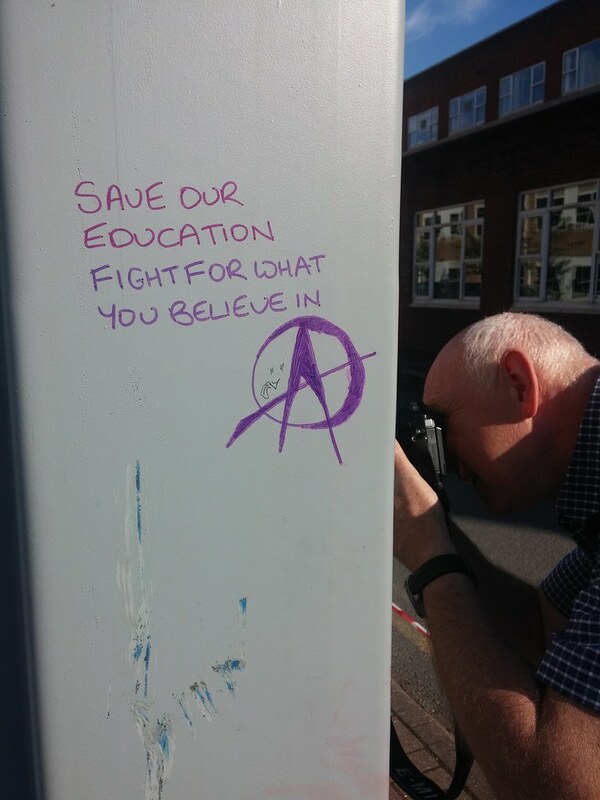 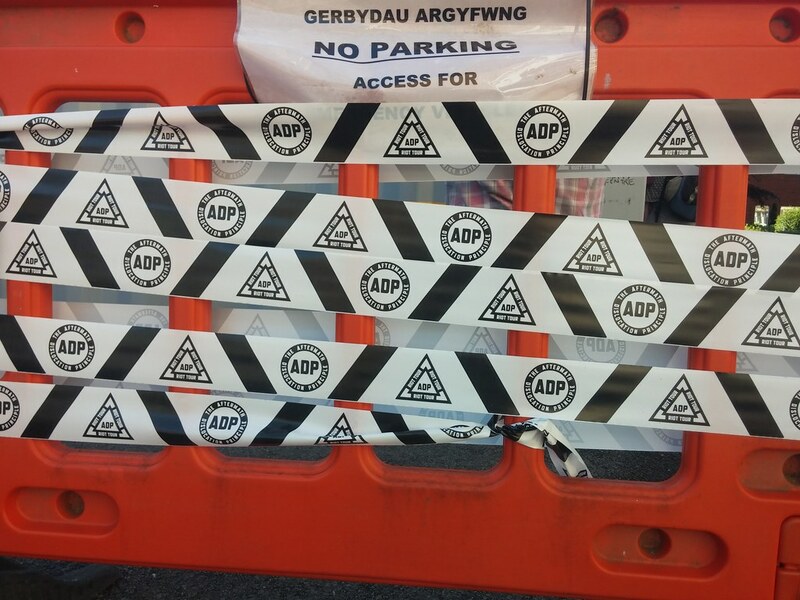 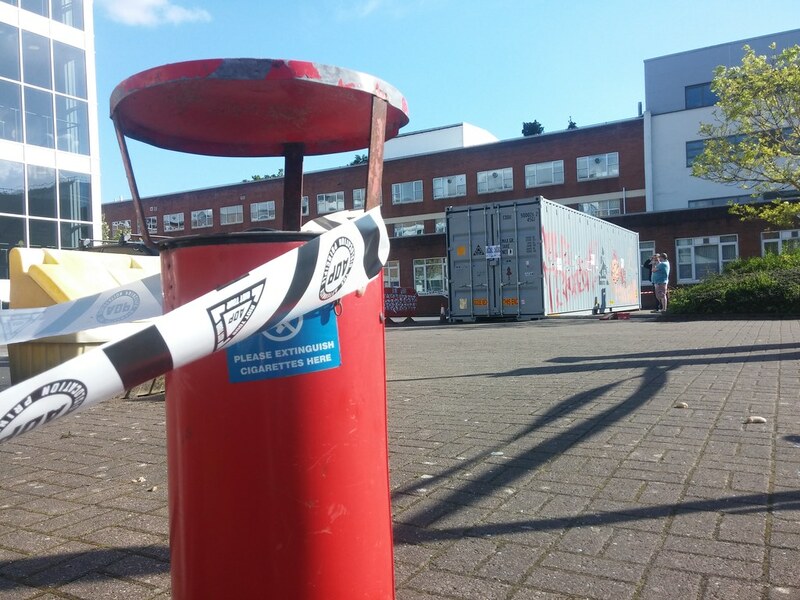 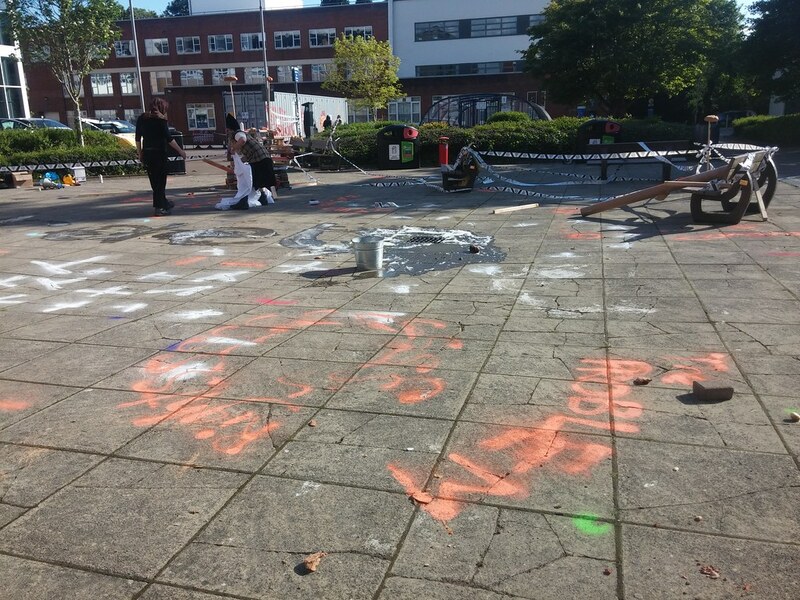 The ADP Riot Tour stopped off in Cardiff’s Metropolitan University in Llandaff late in May and plonked the container in a car park at the rear of the leafy campus. 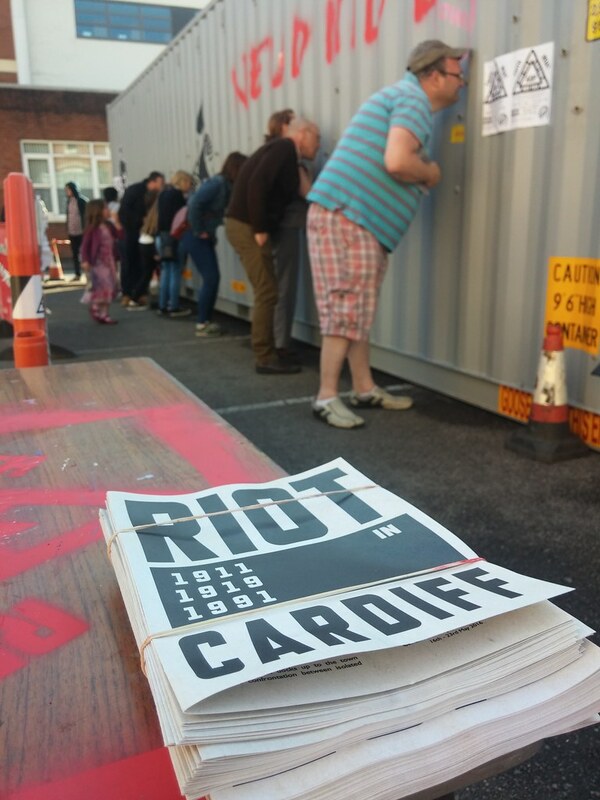 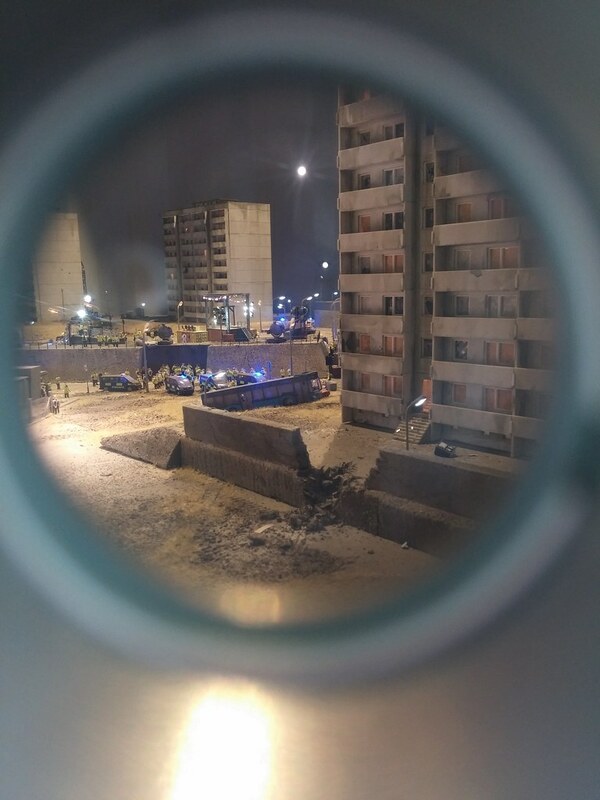 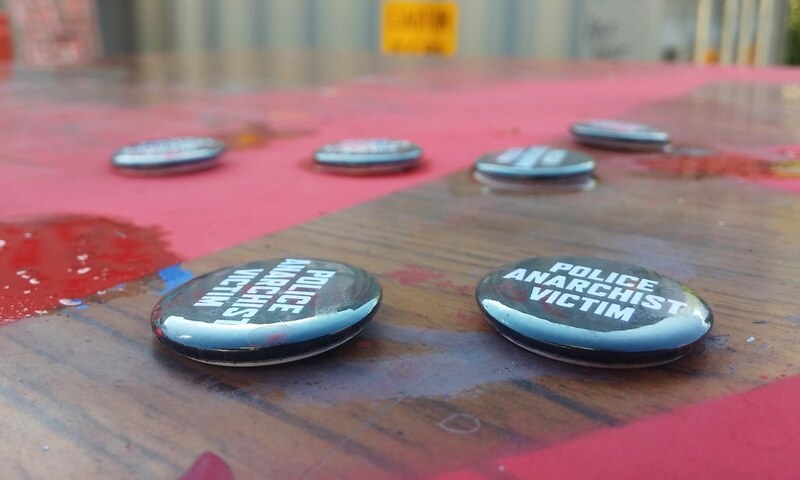 The ADP Riot Tour is fully known as ‘The Aftermath Dislocation Principle’ and is a post-riot landscape created in miniature touring locations with historic riots itself. 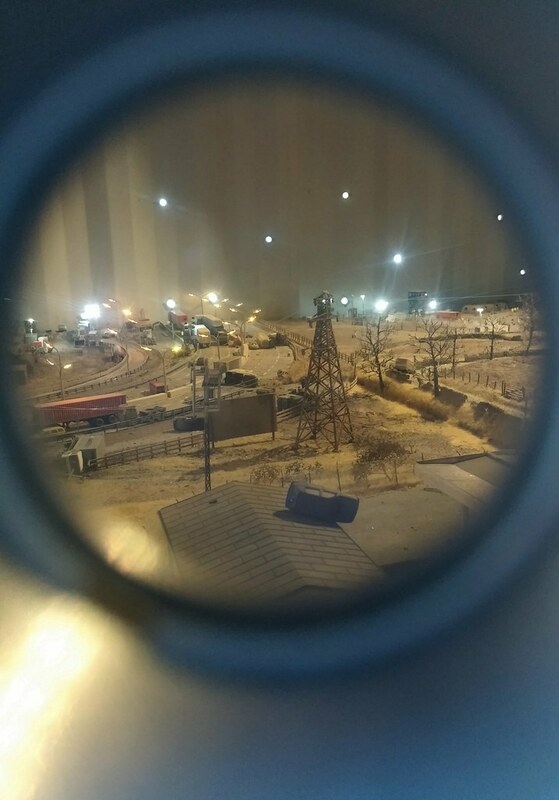 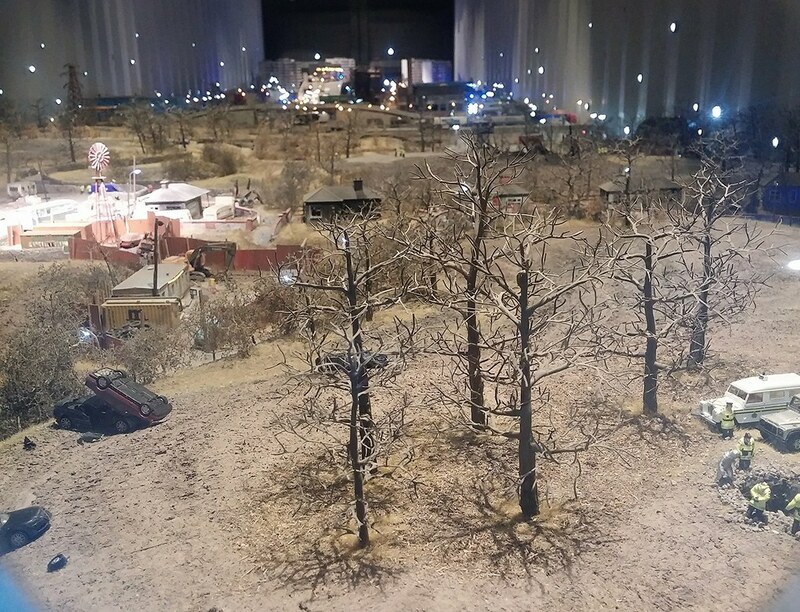 Housed in a 40 foot shipping container the landscapes have all been recreated in 1:87 scale and can be viewed through peepholes in combinations of single or dual holes all around the sides of the container. 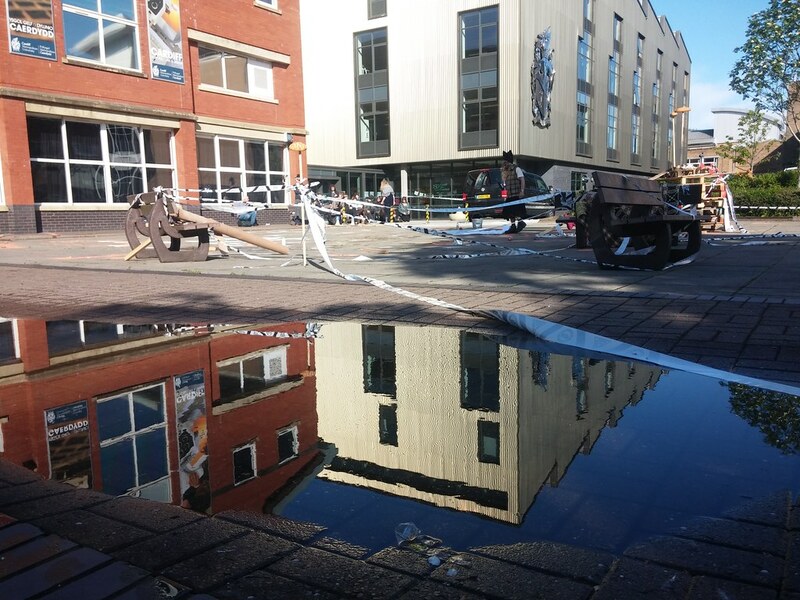 Such attention to detail here with even a BBC Resources satellite truck and OB unit turning up to cover the carnage that is all around! 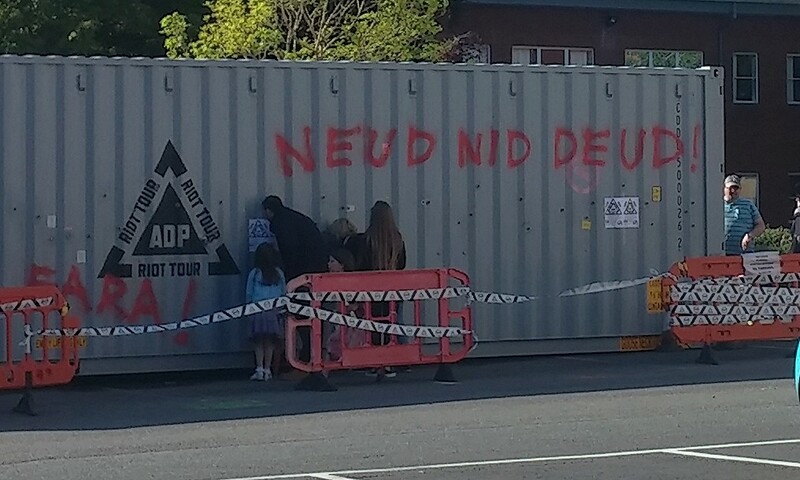 A steady stream of people turned up to view the container and attempted to take pics of what was inside. 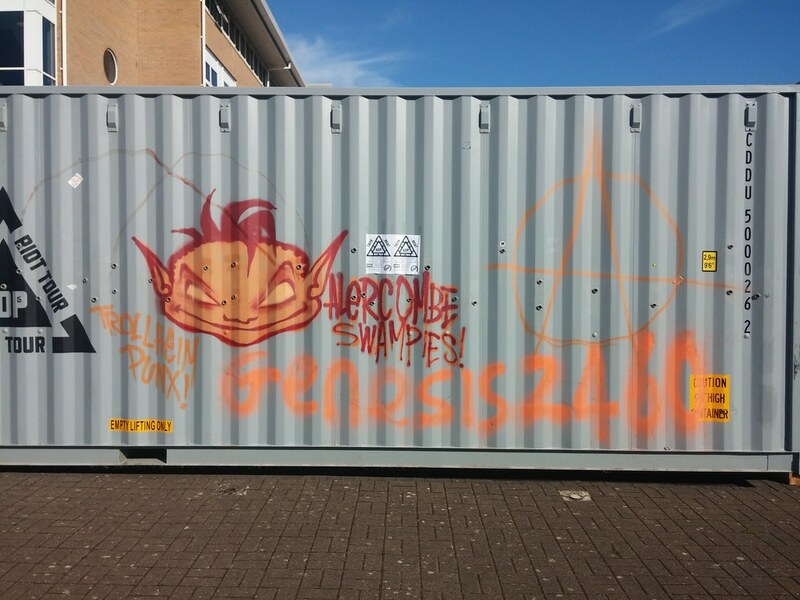 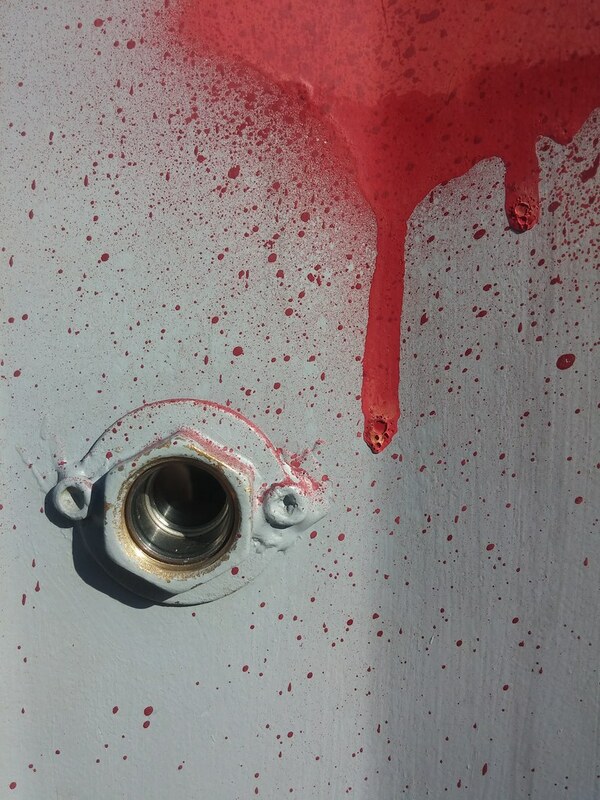 As the container continues to visit each new location it then attracts some new graffiti and artwork to it’s exterior. 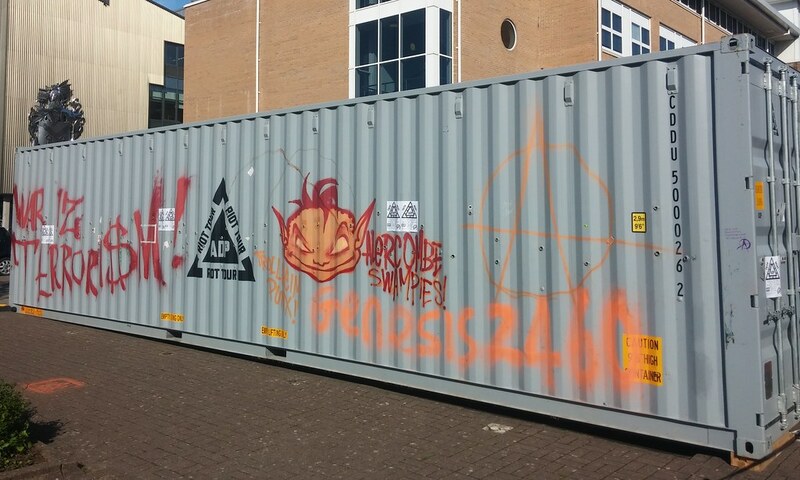 Next to the container and it seems a few of the students from the local art and design course were taking what was from inside the container and re-enacting some of it in the glorious sunshine outside. 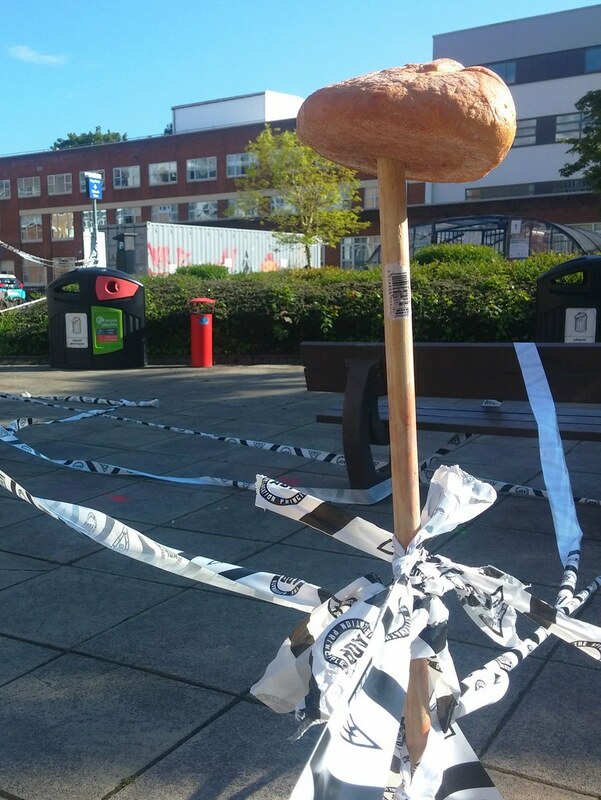 Welsh hats were donned, the ADP tape was out and some crusty cobs were taking centre stage in the spectacle. 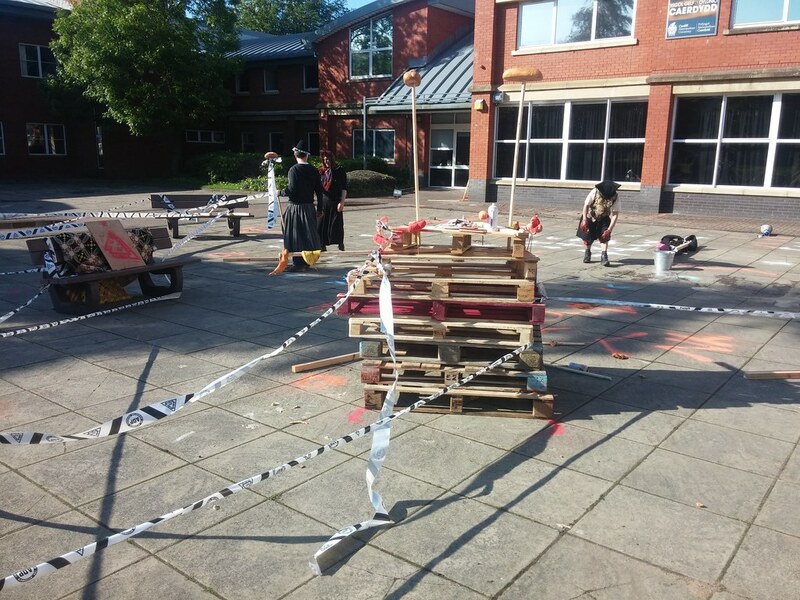 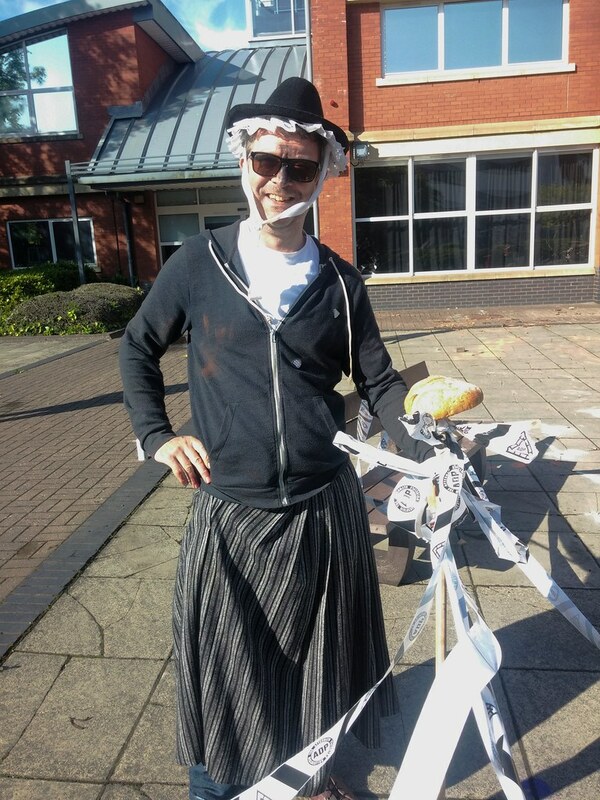 ‘Riotous scenes’ were created, graffiti was sprayed on the floor, women scrubbed words with scrubbing brushes too whilst the bread blew freely in the wind. 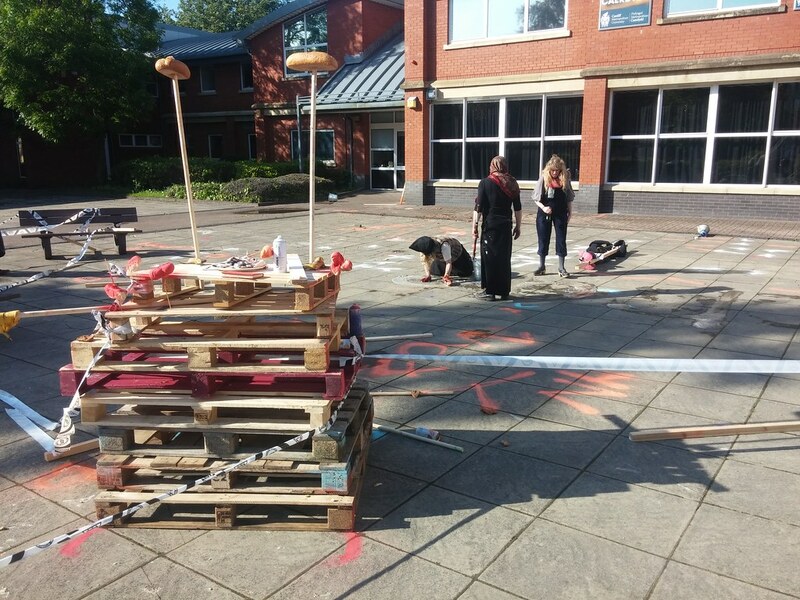 Paying homage to the Ely Bread Riots of 1991 and illustrating the diverse range of things that people will join together and make a stand for! 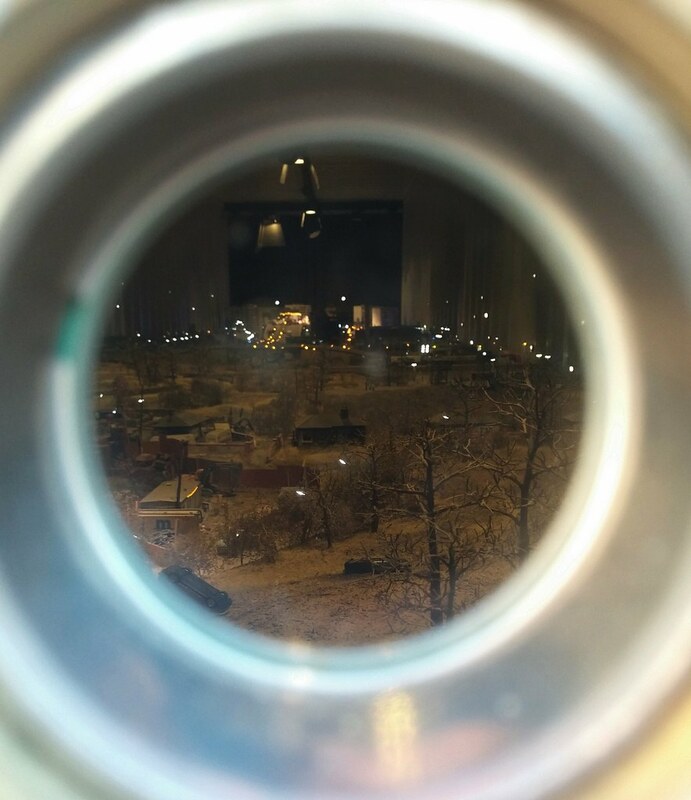 The display has now been packed up and moving onto Merthyr Tydfil via a 30-tonne haulage truck – well worth a visit if appearing near you soon. 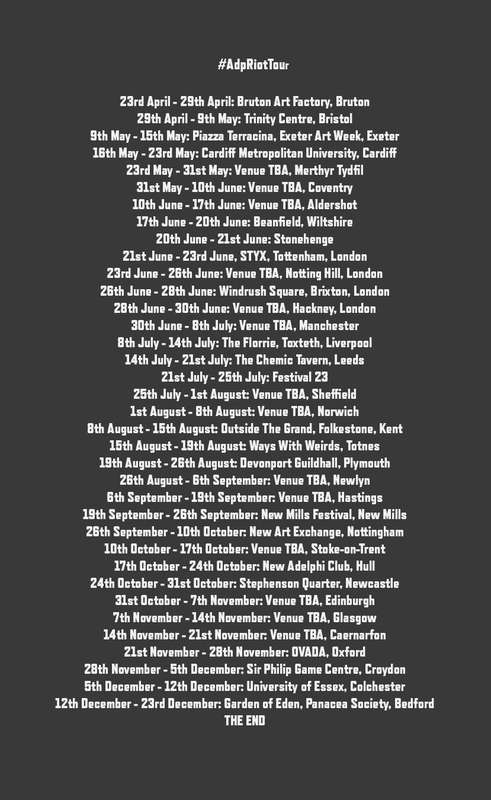 Full list of locations available below.